Swami Muktananda, “Investigate the Inner Realms,” Darshan no. 77/78, (September 1993) p. 19. Reading these words of Baba, I was moved by his teaching that the Guru’s abode is right within me. In my thirty-five years of sadhana, I have felt that the Guru is always with me, but as I read Baba’s words, my understanding took a leap forward, further expanding and maturing my faith. 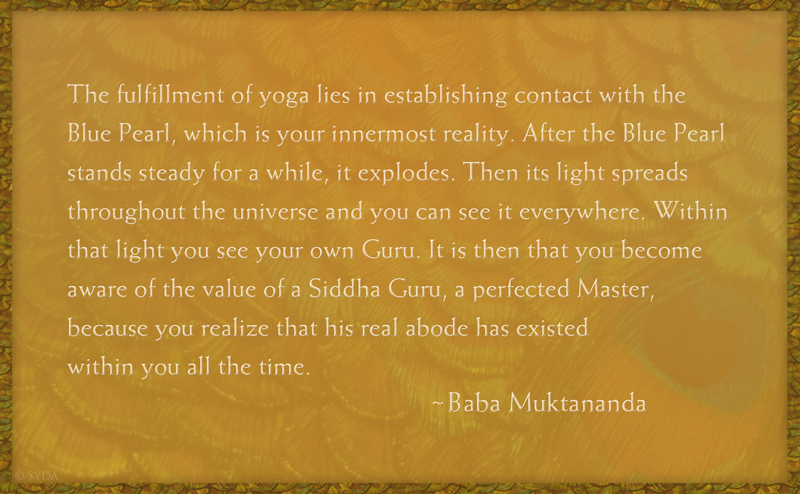 In connection with the Blue Pearl, the word “abode” gives me a tangible way of contemplating the Guru’s presence within me. I am grateful for this divine knowledge.